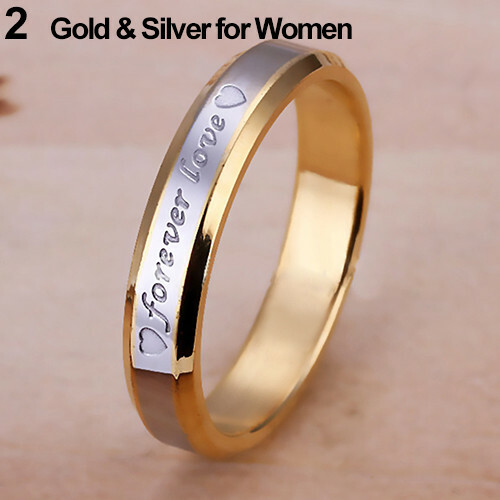 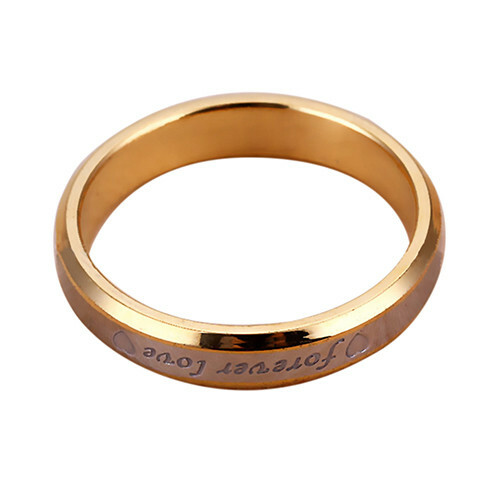 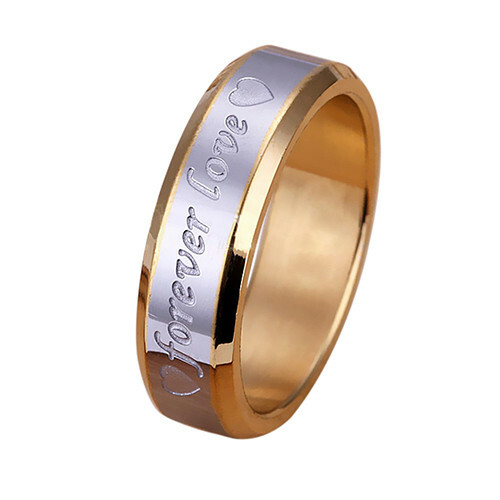 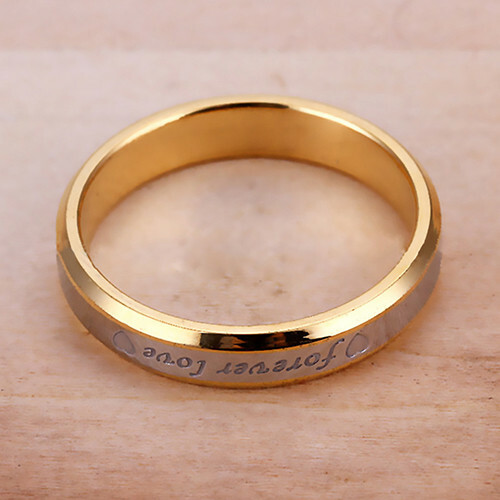 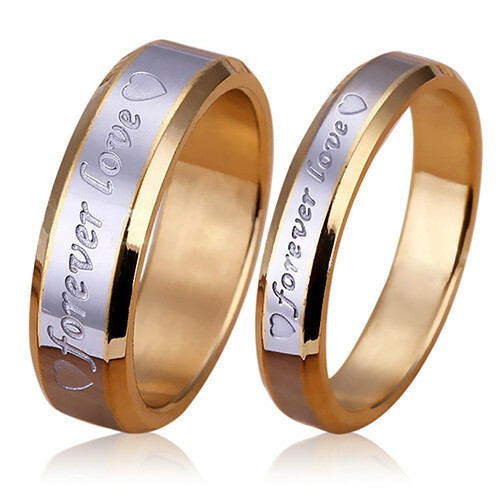 This is a classic trendy "Forever Love" Promise ring for romantic and passionate couples. 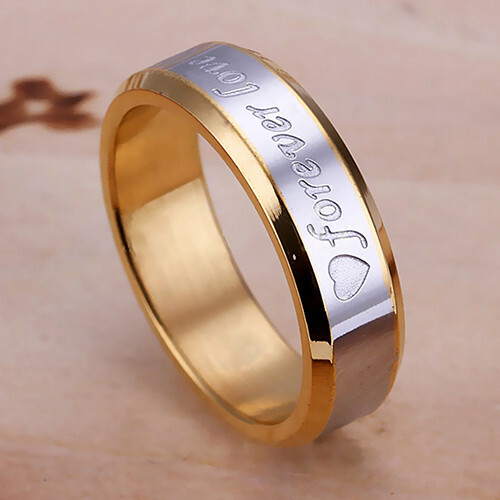 The classic round shape ring is made of a high-quality Electroplated Stainless Steel and with a cool letter shape promise message on top to decorate. 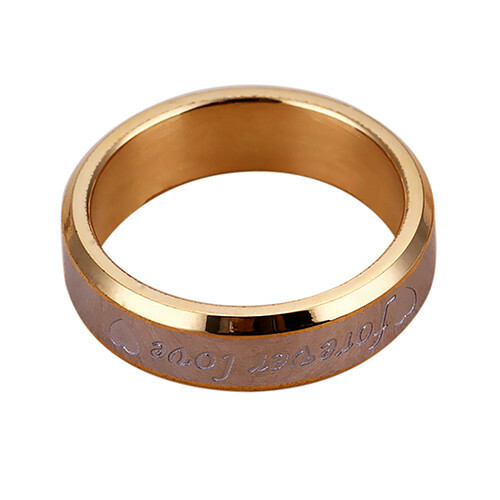 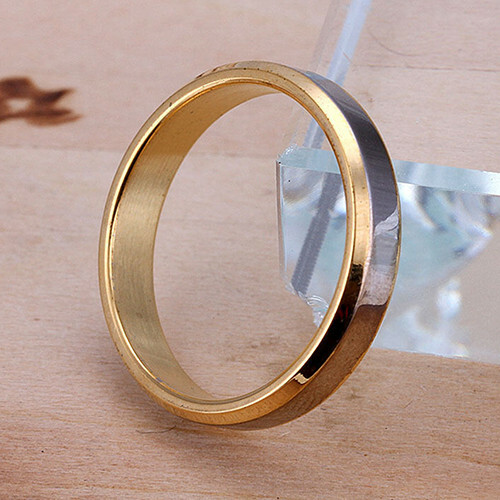 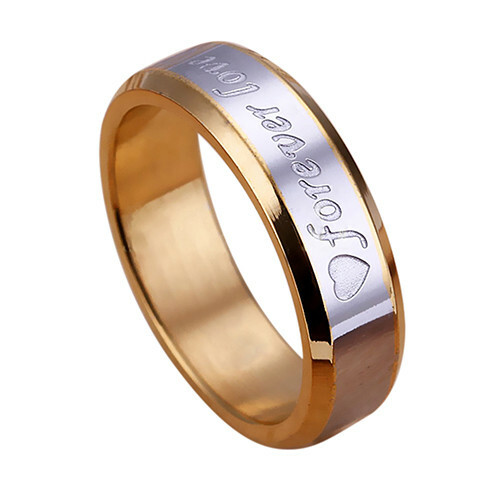 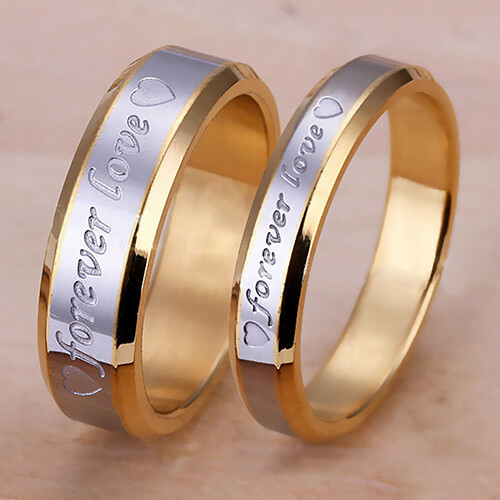 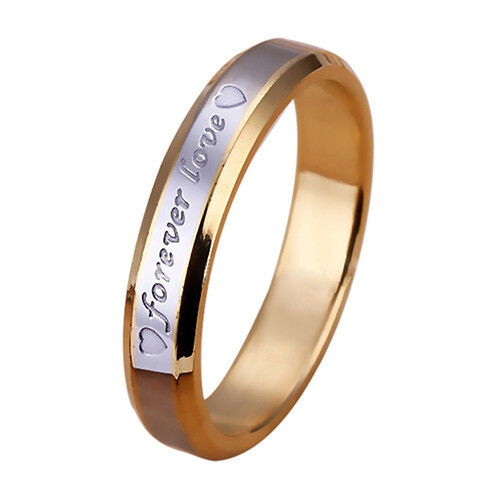 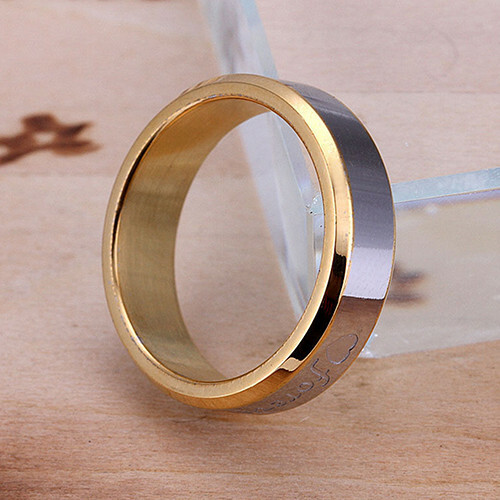 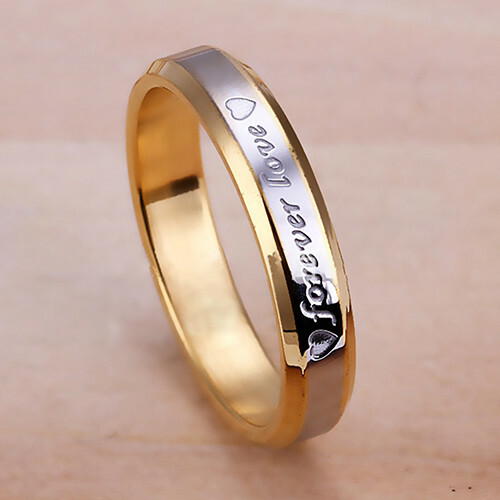 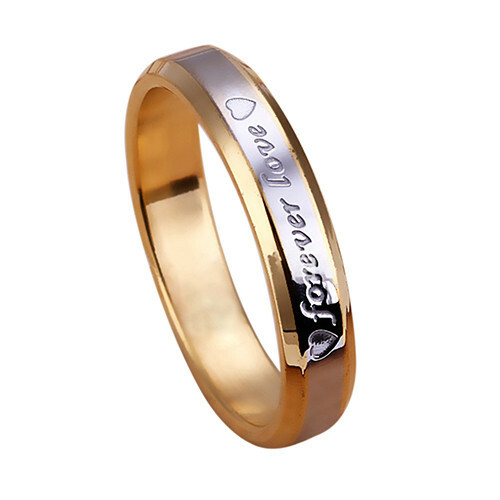 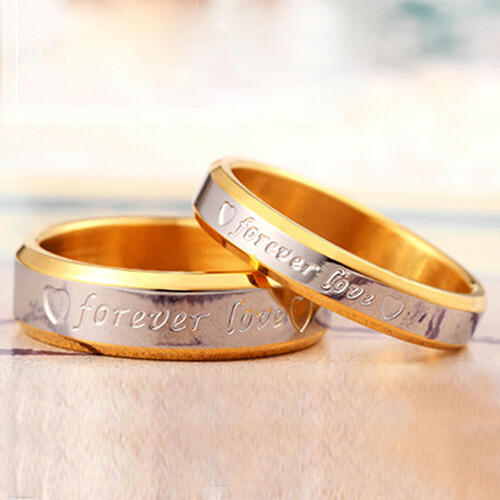 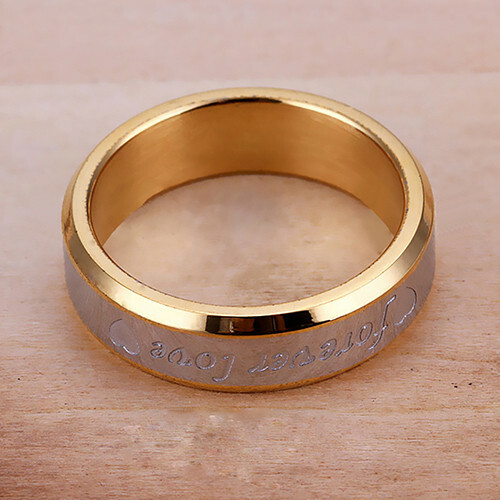 The fashionable and beautiful lovers' promise rings come in wide surface width. 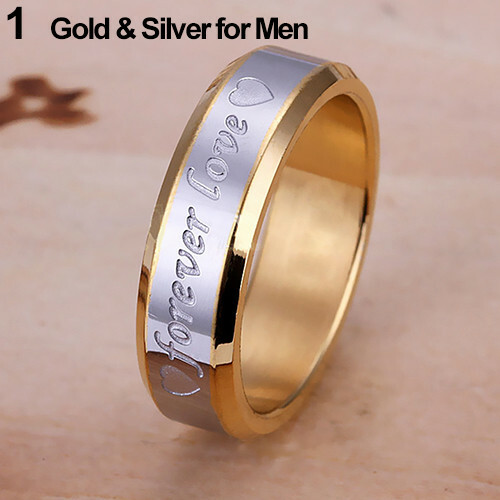 It is now available for 6-10 unisex finger sizes. 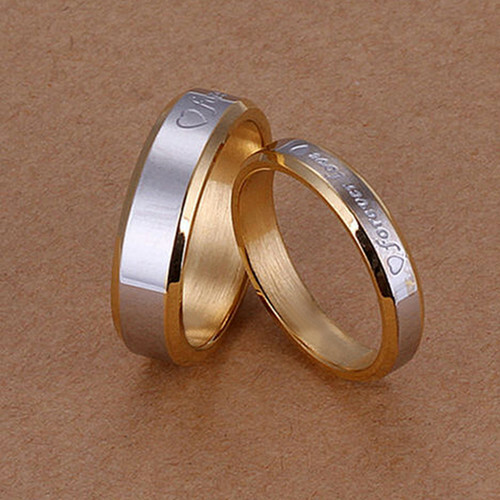 The classic romantic lovers' ring comes with a Gold base and silver on top color combination.